Liczba stron: 332 Jest to ujednolicona liczba stron, która ułatwi Ci porównanie długości książek. Każda strona Legimi to 200 słów. A Room With A View is a 1908 novel by English writer E. M. Forster, about a young woman in the repressed culture of Edwardian era England. Set in Italy and England, the story is both a romance and a critique of English society at the beginning of the 20th century. Merchant-Ivory produced an award-winning film adaptation in 1985. 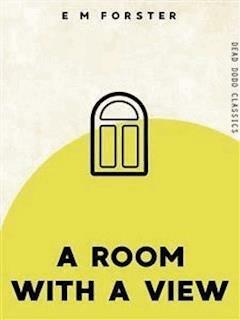 In 1998, the Modern Library ranked A Room With A View 79th on its list of the 100 best English-language novels of the 20th century. The main themes of this novel include repressed sexuality, freedom from institutional religion, growing up and true love. It is written in the third person omniscient, though particular passages are often seen "through the eyes" of a specific character. A Room With A View is Forster's most romantic and optimistic book. He utilizes many of his trademark techniques, including contrasts between "dynamic" and "static" characters. "Dynamic" characters are those whose ideas and inner-self develop or change in the plot, whereas "static" characters remain constant. Forster also contrasts the symbolic differences between Italy and England. He idealized Italy as a place of freedom and sexual expression. Italy promised raw, natural passion that inspired many Britons at the time who wished to escape the constrictions of English society. While Lucy is in Italy her views of the world change dramatically, and scenes such as the murder in the piazza open her eyes to a world beyond her "protected life in Windy Corner". “Why shouldn’t you?” said Mr. Emerson. “Yes, why shouldn’t you come by yourself?” said the son, addressing the young lady for the first time. Lucy was puzzled. She was again conscious of some new idea, and was not sure whither it would lead her. “If you’ve no Baedeker,” said the son, “you’d better join us.” Was this where the idea would lead? She took refuge in her dignity.